Are you considering a Maserati lease in Thousand Oaks, CA? Then look no further than Maserati Westlake. At Maserati Westlake, we have an excellent team that is ready and waiting to help with all of your needs, including financing and leasing options. Our expert Maserati financial team will help you find a leasing solution that works best for you and your family. Leasing a Maserati model is often a better option for customers that are looking for a lower down payment, lower monthly payment, and the option of trading in their current model in the future for a newer one. 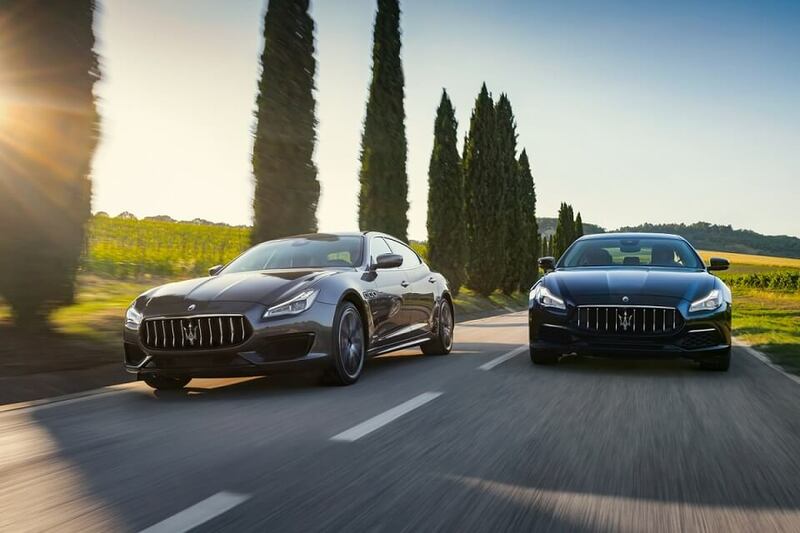 If you're the kind of Maserati customer that like to stay up-to-date with the newest models, then leasing a Maserati vehicle with Maserati Westlake is a great option for you! Stop by our Maserati dealership in Thousand Oaks, CA to learn more about your options for leasing! At Maserati Westlake, we have a huge inventory of exciting Maserati models that is sure to satisfy every customer. We have the sleek Maserati Ghibli, with its instantly recognizable style and smooth handling on the road. We also have the ever-popular Maserati Levante. The Maserati Levante is an ambitious crossover model that delivers all the luxury that Maserati customers expect, with SUV-like power and control. Finally, the Maserati Quattroporte is a standout luxury sedan, with unbelievable power and maneuverability packed into a lustrous exterior. To find the right Maserati model for you, come into Maserati Westlake in Thousand Oaks, CA today! Once you've found the model of your dreams with Maserati Westlake, our expert Maserati finance team will help you find the financial plan that is perfect for you and your family. We understand that leasing a Maserati model is a commitment and we want all of our customers to leave our dealership knowing they've received a great offer and superior service. Call Maserati Westlake today to get pre-approved for your next Maserati vehicle or simply come into our dealership in Thousand Oaks, CA to get started!